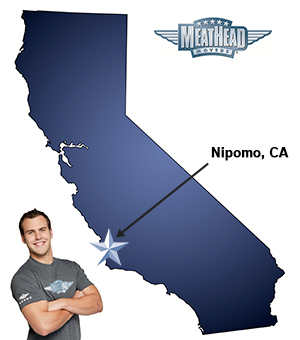 For a trouble-free move to Nipomo, Meathead Movers is the company for you! Our professionally trained student-athlete movers are ready to get you into your new Nipomo home. Nipomo is a town that is known for its wide-open spaces. Many of the homes in Nipomo are situated on at least one acre, and residents can buy lots that contain several acres. It’s a great place for honest living and for lovers of the outdoors. The soil is great for gardening and several residents keep horses and go horseback riding. Are you planning on moving to Nipomo anytime soon? There aren’t a lot of quality Nipomo movers out there, but there’s always Meathead Movers. At Meathead Movers, we pride ourselves on our customer service. In order to ensure that we have the best movers in the industry, we hire dedicated and polite student-athlete movers who are trying to work their way through college. Our Nipomo movers are clean-cut, don’t do drugs and don’t smoke. They’ll even show you our trademark Meathead hustle. Whenever our Meatheads aren’t carrying your items or packing them onto the truck, they’ll jog to where they are going next. Our staff is trained and available to support our movers and our customers seven days a week. We even offer a signature moving concierge service, which connects you with local service providers. If your new or old home needs some TLC before you arrive or leave, we can put you in touch with maintenance workers, inspectors, house cleaners, carpet cleaners, real estate attorneys, storage services and junk haulers, among others. We’ll do just about anything to make things easier on you. At Meathead Movers, we perform local, long-distance, and commercial moves among other services. We use a fixed pricing system so that you’ll always know how much you owe and what you are paying for. We also make sure that the same movers who load your truck are the same movers who unload your truck. We want our movers to be responsible for the quality of their work, and we don’t want you to have to tell a new set of workers how important and fragile your items are. Choose Meathead Movers for all your moving needs. With our 100% satisfaction guarantee, the only thing you have to lose is the stress that comes from moving! So contact us today for a free no-obligation moving quote and to learn how we can help you on your next move! Moving to Nipomo? Here are some helpful resources. Downsizing after 25 years in one home is a stressful situation. Meathead movers and Princess Packers helped take away that stress. They came in with a smile on their face, a positive attitude and got down to business. The Princess folks were efficient and ever so careful of my crystal. The movers showed up right on time and the move was complected without a hitch. I went on to hire the unpackers and am I glad I did. What a relief. They opened the boxes and if you told them would put it away. When finished they cleaned up the mess and hauled off the boxes. Done! All had a great attitude. I would recommend this service and comp;any to anyone without hesitation. Because of Meathead our move was much easier on us. Your young men are professional, polite, respectful, careful and very hard workers. I have used Meathead before and would not hesiiate to use them again. They treated my cherished possessions like they were their own cherished possessions.